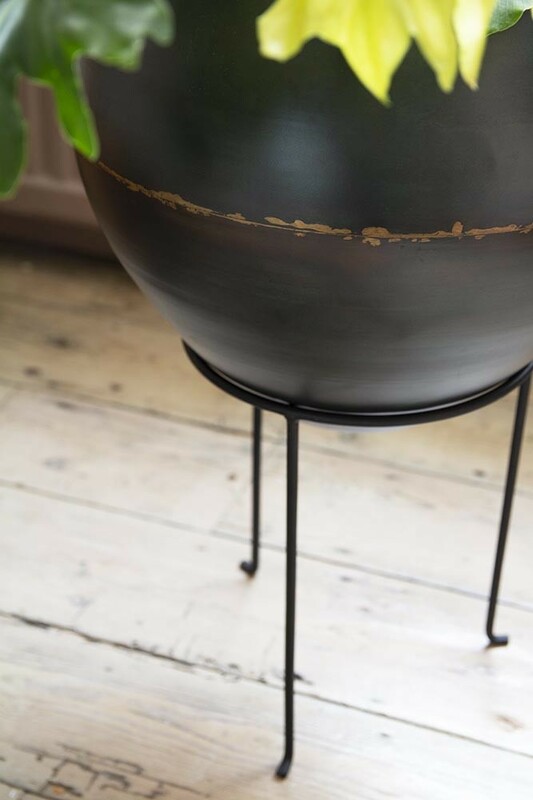 A big and beautiful aged effect Iron Plant Pot With a Black Iron Stand the raised planter set is a stylish home accessory for your house plants…real or faux! 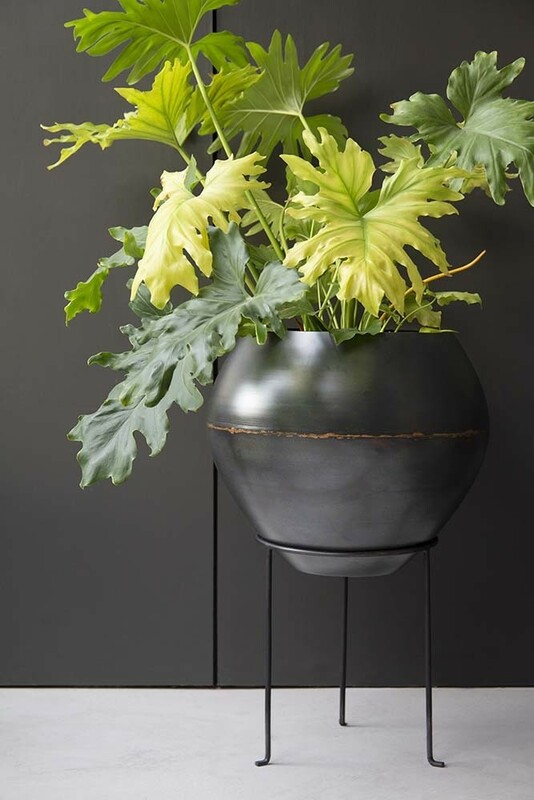 With a black iron pot and a gold seam where the metals meet the huge planter is really beautiful. A House Plant Pot on a raised stand, as lovers of unique and beautiful pieces we wanted to curate a selection of indoor plant and flower pots that will stylishly complement your décor. The Iron Planter With Black Iron Stand will do exactly that! 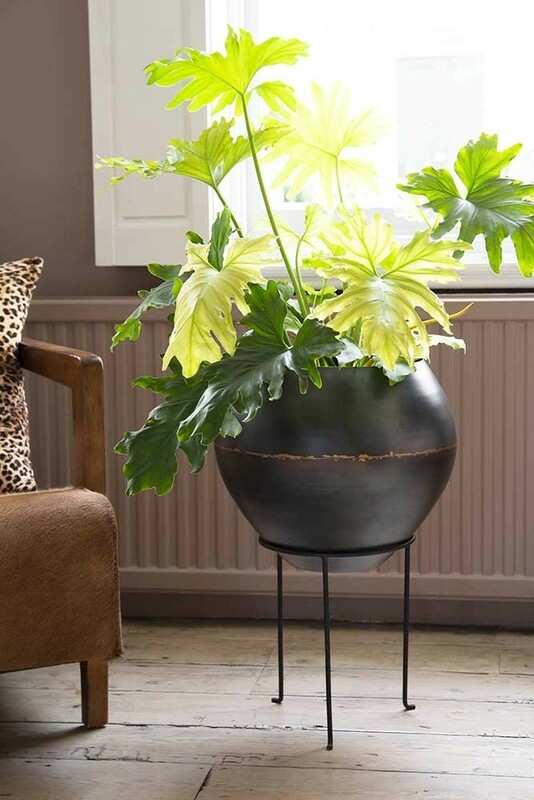 Great for adding variations of height, scale and texture to your décor the Brass Effect Planter is a great plant pot for your Banana Leaf Plants, Monstera Plants, Philodendron or whatever house plant that you love. We also think that the beautiful planter will be a particular favourite of those who have heated floors. Co-founder, Jane Rockett, has heated floors and found that her house plants were wilting because of the heat. The Iron Stand will elevate your plants and prevent this from happening. To style your Iron Planter With Stand pair it with the Brass Iron Planter With Stand to create an interesting style spot display. Position your Aged Iron Planter With Stand next to your sofas, side tables, desks and bedside tables. A really beautiful Planter With Stand, this home accessory can be moved around your home and re-purposed for years to come.